Judge John T. Kelley speaks to the jury during the murder trial of David 'DJ' Creato on April 20, 2017, at Camden County Superior Court in Camden. A judge has barred the media covering the murder case of David "DJ" Creato from a jury visit to the scene where the body of Creato's toddler son was discovered on October 13, 2015. About 30 minutes after PhillyVoice posted a story Monday about the impending ban, a judicial order to that effect by Presiding Judge Deborah Silverman in Camden County was emailed to members of the media. Creato, 23, is on trial, accused of killing the boy. 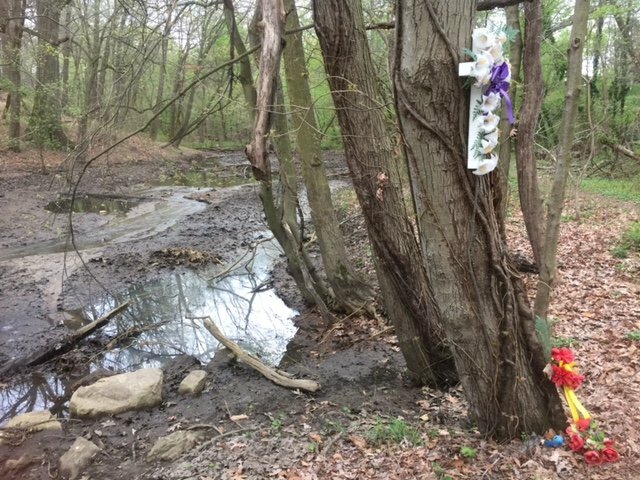 The child’s body was found on a rock in a shallow stream in a public park just a few hours after Creato had reported his three-year-old son missing from their apartment. They had lived together in the Westmont section of Haddon Township in South Jersey. Homicide prosecutor Christine Shah made the request to take the jury to the scene. The request was tentatively approved in court last week by trial Judge John T. Kelley. Kelley had made no mention in open court of a blanket ban on reporters and photographers even as he directly addressed the media several times in his Camden courtroom since the trial began last week. The order from Silverman distributed to media on Monday afternoon, cited no reason for the media ban, other than Kelley's request. It offered no opportunity to be heard on the order. PhillyVoice has asked to be heard on the matter. A court administrator, asked by PhillyVoice about press credentialing for the visit to Cooper River Park, confirmed last week that a scene visit was in the works for Tuesday. But the court order indicated that could change due to weather; heavy rains are forecast for Tuesday and Wednesday. The administrator had added last week, “the judge doesn’t want the press there.” She said the judge is concerned with the jurors' privacy and would prefer that the media visit the scene after the jury has left. 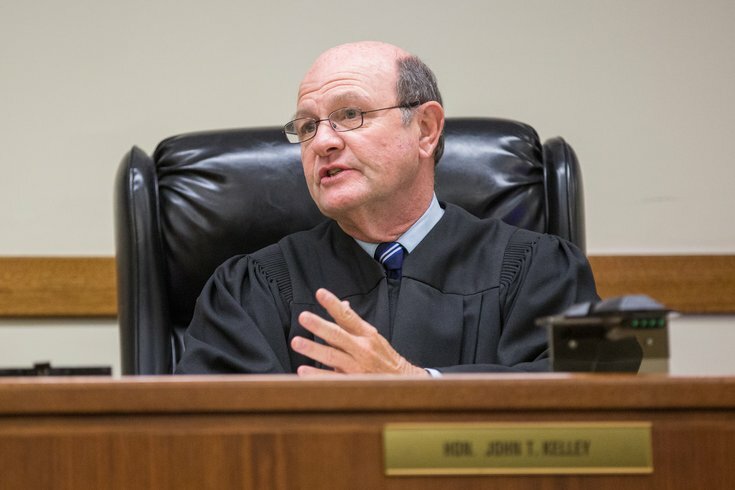 A hearing on the judge’s exclusion plan – closure in courtroom parlance – is required, according to several lawyers interviewed by PhillyVoice. Such a hearing allows the press – and public – to argue for their inclusion. The judge has not responded to requests for comment made Friday and again on Monday by PhillyVoice. His chambers have instead referred requests to the Camden County Superior Court’s administrative office, which has responded only with the emailed order. This is the scene in Cooper River Park where little Brendan Creato's body was found in October 2015. A reporter for PhillyVoice immediately voiced objections last week to the court administrator, noting there was no intention to photograph jurors. The reporter also cited the First Amendment of the U.S. Constitution, which assures press freedom rights, and noted the crime scene is in a county park which is open to the public during daylight hours. Meanwhile, an attorney for Advance Media, which provides content for NJ.com, the South Jersey Times and the Star-Ledger, has contacted court administration in an effort to protect access for the press. PhillyVoice is cooperating in that effort. There has been no notification of such a hearing to members of the press as of Monday afternoon. “The starting place is that the press and public have a right to be there” during any legal proceeding, including a scene visit, said David Snyder, executive director of the First Amendment Coalition, a journalistic advocacy organization. On Constitutional grounds, the only valid reason for denying access is if a defendant’s “6th Amendment right to a fair trial overwhelms the 1st,” said Snyder, a lawyer and journalist. Snyder said there are many “easy solutions,” such as pool reporting, which could potentially address concerns of the judge. Creato’s lawyer, Richard J. Fuschino Jr., declined comment on the scene visit Monday. J.C. Lore, a former defense lawyer who is now a law professor at Rutgers University-Camden, said it would be a simple matter to draft an agreement promising not to include any images of the jury. Lore also said there are scant procedures for crime scene visits by juries under New Jersey law. Lore added that the simplest solution is to simply not take the jury to the scene. “I don’t understand why photos couldn’t accomplish what they need,” he said. Silverman, who had approved allowing photographers and videographers to be present during two days of jury selection early last week with the understanding the jury would not be pictured in any news accounts, abruptly withdrew approval last week. She said then that Kelley had sought the ban. Jury visits to scenes are uncommonly sought and less commonly granted. The inclusion of the media varies. The media was, for instance, barred from going along on a scene visit in the murder trial of O.J. Simpson. But the jury was accompanied to several scene visits by a pool of journalists in the murder trial of former NFL player Aaron Hernandez.